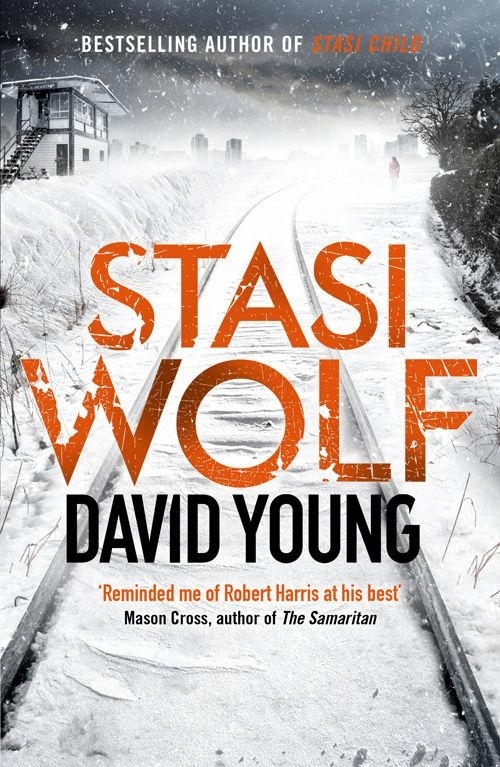 This is a slightly revised version of a brief review I wrote on Amazon of Stasi Wolf by David Young, which is not yet available in the United States. Fortunately, I was able to secure a copy of the British edition. This is the second novel in a series whose protagonist, Karin Müller, is an Oberleutnant (First Lieutenant) in the East German Volkspolizei (People’s Police). Specifically, she's a detective assigned to the murder squad in the capital, Berlin. Or at least she was. As the book opens, Oberleutnant Müller has been transferred to a dull backwater of Berlin, where she’s doing the kind of work that would normally be the province of uniformed officers, and her partner is still in the hospital recovering from wounds suffered in the first novel (Stasi Child). She’s visiting him when she gets the offer (if indeed an “offer” from a superior officer in a Communist nation can be called such) to go to the model city of Halle-Neustadt to investigate a kidnapping and murder. And thus begins Stasi Wolf. Others have ably summarized the plot; as someone who visited the German Democratic Republic in its heyday, what I’d like to do is comment on how well the author captures the atmosphere of East Germany in the 1970s and 1980s, from the complex and uneasy relationship between the regular police (Volkspolizei) and the Ministry of State Security, known as the Stasi, to the carefully organized group activities of the Freie Deutsche Jugend or Free German Youth (“Be ready! Always ready!”), to the stirrings of change coming from the younger generation who chafed against the ever-present demands of the Party. And he didn’t just capture the social and emotional feel of it, either—his description of the haze from the Leuna chemical complex brought back memories of the ever-present oily smoke from thousands of two-stroke Wartburgs and Trabants, of the haze from the brown lignite coal used to heat much of the East in winter, and the soot I remember blowing into non-air-conditioned railroad cars on hot summer days from the grimy locomotives of the East’s Deutsche Reichsbahn. If you haven't read Stasi Child, don't let that dissuade you from reading this book. It stands on its own, and can be enjoyed on its own, with enough background given that you won't be feeling left in the dark. Overall, Young has once again given us a view into a vanished world that grows increasingly distant. If you like a well-crafted detective story, you’ll like this book. If you’re a history buff, you’ll find yourself impressed with the care taken to get the details right. And if you just want something entertaining to read, you’ll find it hard to put down. As for me, I’m already looking forward to Book 3.